We love working with young patients! Even if visiting the dentist wasn’t your favorite activity as a kid (or adult), we can make sure your child loves visiting our office. We offer a fun and friendly environment, and each member of our team goes above and beyond to help your kids build the confidence and skills they need to maintain their healthy smiles for life. One great way we challenge kids to take great care of their teeth is by entering them into our Cavity Free Club. For every cavity free checkup, your little one is entered into our quarterly drawings to win fun prizes, they get cool Cavity Free Club t-shirts, and most important, they get healthy, beautiful smiles! 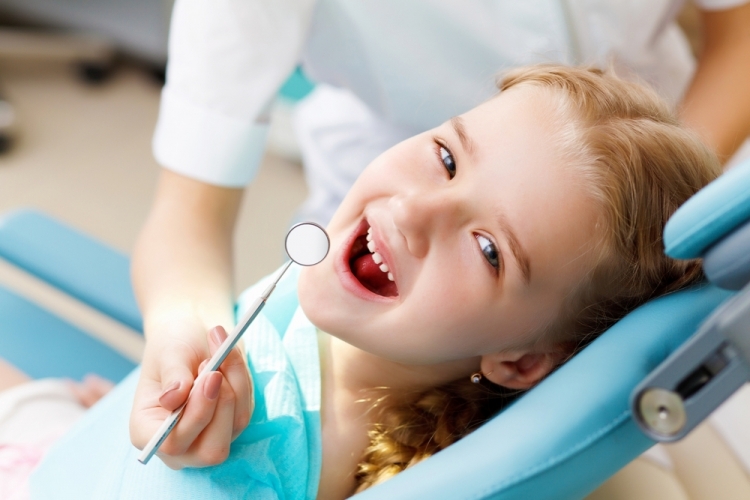 No one likes sitting in the dental chair for a long time, but this is especially true for younger patients, so we make sure every treatment visit is completed with total efficiency to keep your child comfortable. If we determine patients are suffering from mild gum disease known as gingivitis, we will typically begin with more frequent professional deep cleaning appointments. Patients with gingivitis that does not respond to more frequent cleanings and those with the more advanced form of gum disease known as periodontitis will undergo scaling and root planing. Scaling is an advanced cleaning procedure that removes plaque and tartar buildup from all surfaces of teeth, and root planing is the smoothing of tooth roots to prevent future buildup. We perform these advanced treatments with soft tissue lasers to decrease discomfort and bleeding during treatment and reduce healing time following the procedure. If you notice any of these indicators of oral cancer between appointments, please let one of our team members know right away. We’ll examine the areas for concern, and help you seek additional treatment whenever necessary. To make sure your smile remains whole and healthy for life, we encourage you to visit our team at least two times each year for dental checkups and professional teeth cleanings. During your appointment, we’ll have the opportunity to collect necessary diagnostic x-rays and images that we’ll use to explain your current oral health and potential treatments as well as answering your oral health and hygiene questions. Your dentist will carefully examine your oral and facial structures screening for common dental health concerns including tooth decay, gum disease, teeth grinding and clenching (bruxism), and oral cancer. A skilled hygienist will thoroughly clean your teeth and gums removing all plaque and tartar buildup that may lead to tooth decay and gum disease. We perform our comfortable professional cleanings using state-of-the-art dental lasers. Before you leave our office, you’ll have a complete idea of how to care for your smile in our office and at home to maintain your healthiest smile. WANT A FREE TEETH CLEANING? Sign up for this special offer, Due to the limited Number of Available Appointments Vouchers will be on the first call Basis. Call to get your Free Offer.